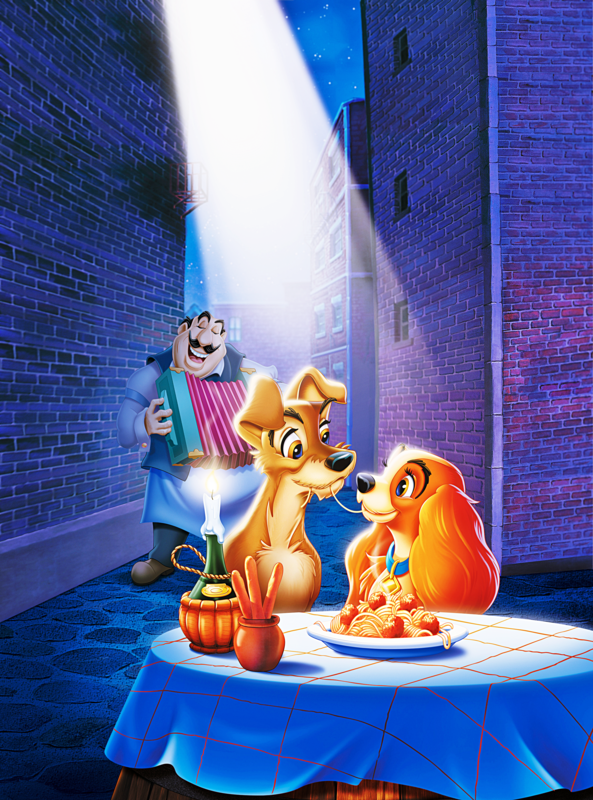 Walt Disney Posters - Lady and the Tramp. Walt Disney Poster of Tony, The Tramp and Lady from "Lady and the Tramp" (1955). 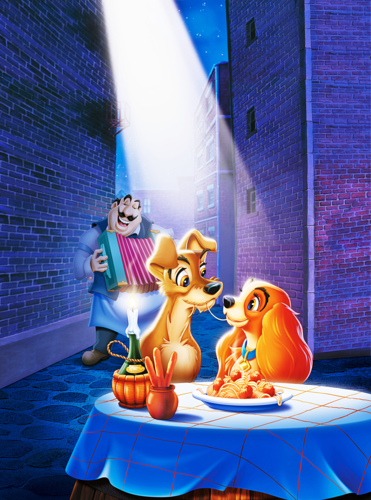 HD Wallpaper and background images in the Walt Disney Characters club tagged: walt disney characters walt disney posters lady and the tramp tony the tramp lady. This Walt Disney Characters photo might contain fontein, straat, stad scène, stedelijke omgeving, stad straatbeeld, and stedelijke instellen.